Want to network better? 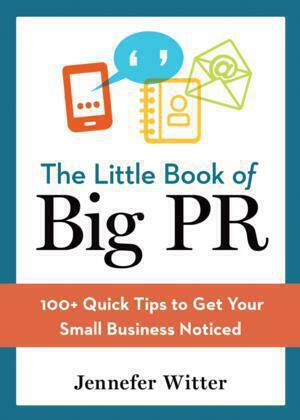 Read an excerpt from "The Little Book of Big PR: 100+ Quick Tips to Get Your Small Business Noticed"—and enter to win the book! Below is an adapted excerpt from “The Little Book of Big PR: 100+ Quick Tips to Get Your Small Business Noticed” by Jennefer Witter. It was published in October 2014 and is available for purchase online and in paperback. I have a secret. I didn’t start actively networking until I started my business in 2003. I have always said that if I had networked like this when I first started working in the early 1980s, I would be Queen of the World by now. Before 2007, when a handful of companies may have gone after the same piece of business, now scores of them are, meaning we all have to work longer and harder, and in some instances we do so for the same, or even a lesser, amount of revenue. In other words, it’s a dog-eat-dog world, and the dogs we are talking about are Rottweilers, not the fluffy ones with the pink bow clip-ons. Networking is a tool that opens and gets you through the door. You’ll have a stronger shot at getting additional business if you put into practice a smart networking strategy. And, as with everything, you need to evaluate the results: If you’re not getting a return on investment, then it’s time to examine your methods and start anew. I once got this tip: “Go to the person who scares you the most and introduce yourself.” It has helped me tremendously. You’ll find that person is not so scary and is probably even relieved that someone is speaking to her. If they don’t want to talk with you, then you don’t need to talk to them. Keep in mind that it’s never personal. You could network five times a day if you wanted to. But we’re business owners, and we have other responsibilities. What you have to do is be network-smart. Firstly, figure out what your objective is when networking. Next, do some research. What are the influential groups that can help you the most? Note, I said “influential”: It’s not size that matters—it’s the ability to connect with people who will help you achieve your goal. All you need to make a difference is that one connection. How do you select a networking group? Go where your targets are. Several of my clients are in real estate, so I have served on the board of directors of the African American Real Estate Professionals of Washington, D.C. The connections I made there—and the friendships that I have formed—are priceless. You can always join a group that has nothing to do with your work. One of my clients joined an influential group because of her deep commitment to its mission. She participated by volunteering her time, fundraising, speaking on panels, etc. She got viable business leads from those in the group who got to know and trust her (and also because she’s great at what she does). When networking, I set three goals for myself before I step into a room. For example: meet a new person; find out who is in charge of speaking engagements; and find a person who may be a good strategic partner. Your goals, of course, may be different. What’s important is having specific goals; it sets a context around the experience. While I belong to several networking groups, I am selective about which ones I join. A must: You need to know how many hours you can devote to networking. If it’s one hour a week, then I suggest you limit yourself to one group. Here’s the next question: Is that hour best for you in the mornings, evenings, or on the weekends? The groups I belong to have various meeting times that fit with my schedule. Some groups have a requirement on how many meetings you can miss. Find out what it is and keep track of the times when you miss a meeting. Learn what is required of you before you join a networking group. There’s a national business networking group that has chapters across the country and thousands of members. Only one person per industry is allowed in each group, so if you’re in advertising, then you’ll be the only person in advertising. The group requires that you regularly provide leads to other members. I attended a meeting as a guest and found the members to be extremely professional and supportive. But it wasn’t for me—the pressure to dig up leads outside of my own work was a burden I did not want to carry. The break-of-dawn breakfast meetings took place in a restaurant that was about an hour’s commute from my office. So, with these factors in mind, I declined the opportunity to join. Dropping out of networking groups is not a crime. Networking takes time, energy, and effort. I belonged to a woman’s real estate group for about three years, but no business came out of it. I decided to leave it, and while attending one of my very last lunches, I sat next to a woman whom I had never met. Turns out her company was looking for a PR company. In a matter of weeks, I signed a new account—one that brought in enough money with that first check to cover my first three years in the group. You need to invest the time, explore all opportunities, and be active. But if nothing comes out of your efforts, and you have truly done as much as you can, then leave. When you join a group, you need to be proactive. Find out if they have committees that you can join. If you can, host events at your workplace. Most of all, talk to people who are there. I went to a networking event and actively worked the room. I mentioned that I give presentations and before I knew it, I was offered the opportunity to be a co-presenter at an already planned speaking engagement. I accepted, as the audience was one of my key targets. Don’t be a wallflower. Now, networking is not all about me—or rather you. As I tell my clients, you must be able to give, as well as graciously receive. Always ask what you can do for others, even if there’s no immediate benefit to you. Those who are perceived solely as takers will not get much in return. Networking is truly fifty-fifty. Never leave home without your business cards. You never know who you’ll meet! I take my cards with me everywhere—to the hair salon, manicurist, grocery shopping. I always keep a few in my wallet in addition to my card-holder. If you’re a woman, you know that switching purses means something is invariably left out. So, along with your keys and smartphone, carry those business cards. 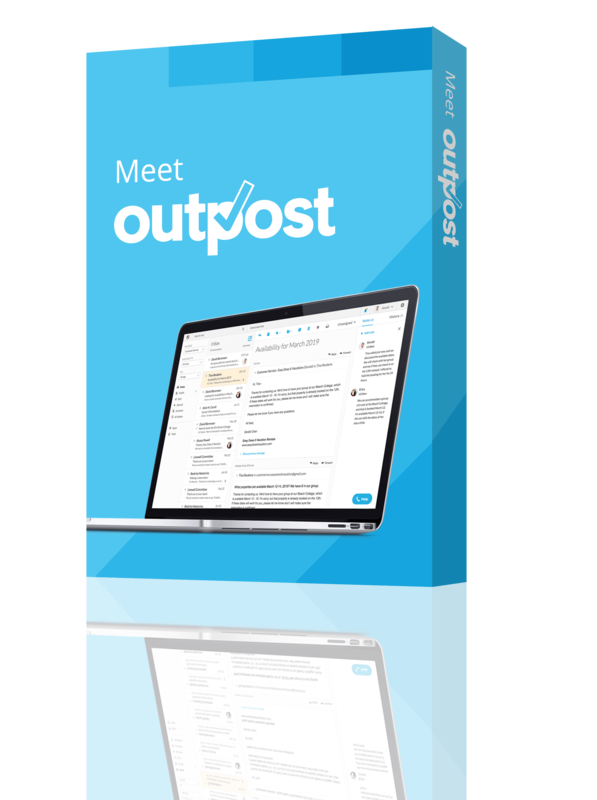 You can network 24/7 from your laptop, mobile device, or desktop. Be active on Facebook and/or LinkedIn and like or comment on posts. A must: Be authentic in your social media. If you’re posting just to be visible, you will come across as fake or phony— that’s the kiss of death. By networking virtually, you develop a relationship with your targets. When you reach out, it won’t be out of the blue, as you have already been consistently in front of the person. Don’t let networking contacts go cold. You can meet dozens of new people every time you attend a networking event. In order to maintain the momentum, follow up within at least five business days after meeting a new person. This will help fuel the process of converting the person from a casual acquaintance to a new client. It can also lead to referrals. I’m often asked how to stay in contact after the initial note is sent without seeming like a stalker. Easy. Keep a list of people to stay in contact with and “touch them” at least once a month. The “touch” can be as simple as sending them an article you think they would be interested in reading. Whatever the gesture is, it is always noticed and remembered. 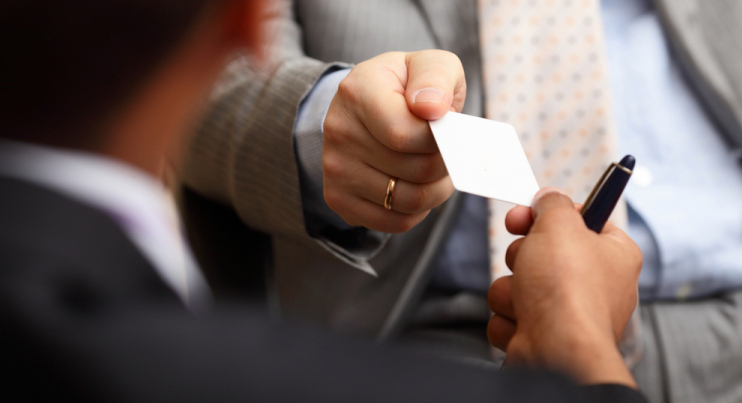 When you’re at a networking event, don’t whip out your business card as soon as you’re introduced. Too crass and totally off-putting. You’re speaking with someone and it turns out to be a dud contact—yes, that happens and you know it does—cut it short and move on. Don’t be rude. End the conversation with, “It was so nice to have spoken with you. Thanks for sharing your time with me.” Then find the next person to talk to. Talking with strangers sometimes leads to awkward pauses in the conversation. Whatever you do, don’t fill the void by bringing up controversial issues. I recently went to a networking event and saw two people chatting. Well, one was talking while the other person scanned the room. When someone is speaking with you, whether it’s a good or bad contact, give him the courtesy of your attention. You can gracefully end the conversation without looking like a boor. A networking contact leads to direct business. Congratulations! Now, do you need to reward that person? You can certainly take the person out to lunch, donate to his favorite charity in his name, or send a thank-you gift (for example, a gift certificate). Acknowledgment is a good business practice and something many of us forget to do. There will be times when you and a key competitor are in the same networking group. Obviously, you’re going after the same business. Don’t leave all those potential leads to your competition. Explore your options by talking to the group’s leaders and seeking out ways to differentiate yourself. For example, if your competitor is sponsoring a golf outing, you might consider hosting an awards dinner or some other high-profile event that will resonate with the group while distinguishing you from the competition. The best networking group can be the one you create on your own. I’ve seen a proliferation of networkers starting their own groups on social media, especially on LinkedIn. Creating your own group gives you immense latitude: you invite the people you want to grow your connections with; there isn’t direct competition; and there’s flexibility to the theme. With that said, it does take effort to create a successful group. Investigate the more successful ones in your circles and adapt their best practices, as appropriate. Consider having a virtual and physical group: that is, have the group live on LinkedIn but include physical meetings as well. 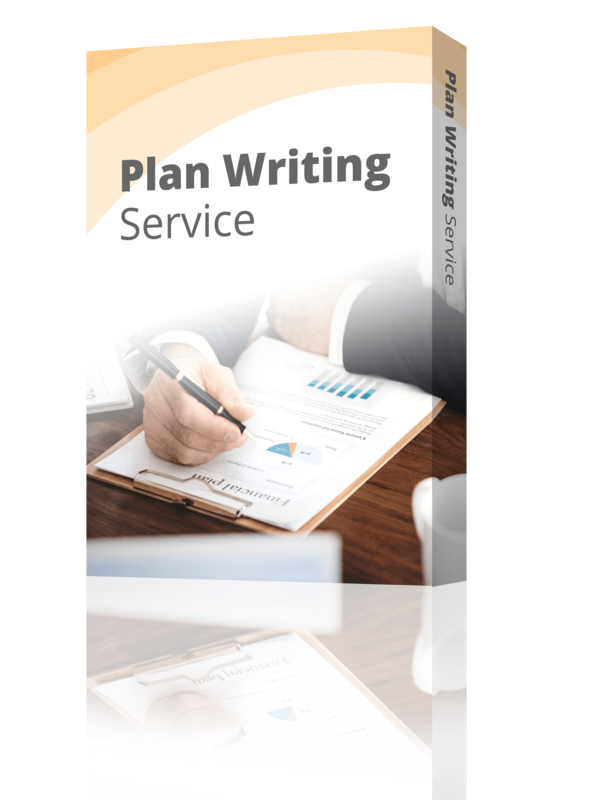 Put together a plan: how many times you want to meet; where; what void it will fill; whom you are inviting; what the group’s theme will be; and so on. Just keep in mind that the measurement of success is how much time you are willing to put into the effort—in return for what reward. Do you struggle with networking or do you enjoy it? How has it helped your business? Let us know your thoughts and experiences. Jennefer Witter is the CEO/Founder of The Boreland Group, a certified woman-owned public relations agency. A 30+ year PR veteran, Jennefer was named in 2013 as one of the country's top ten black CEOs/entrepreneurs by Madam Noire magazine.